A rich and absorbent belly oil so sumptuous, you’re going to want to rub it on all your other parts. 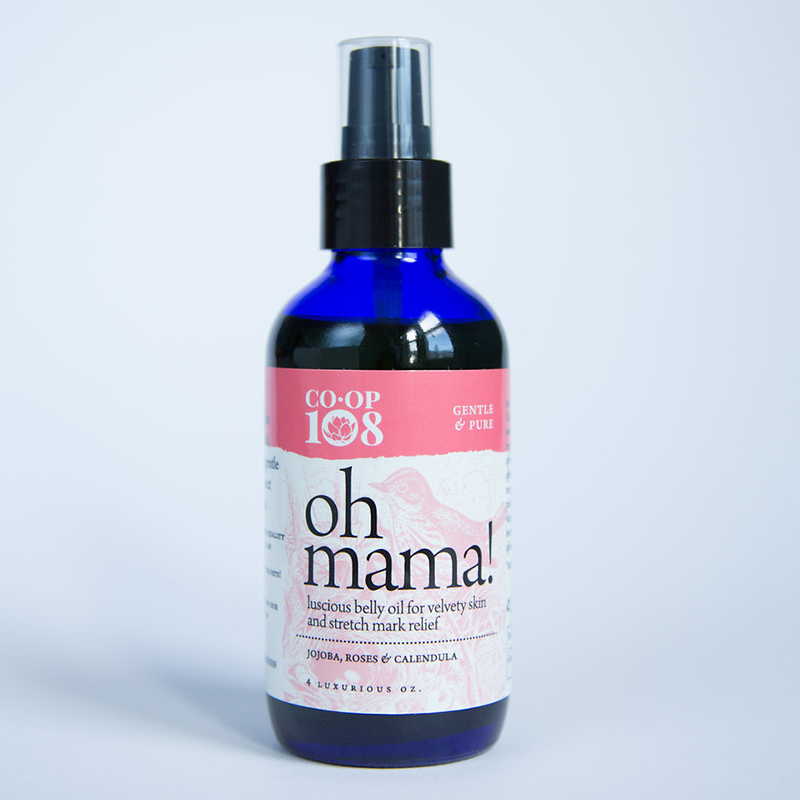 Especially formulated with roses, calendula, jojoba and borage seed oils, for pregnant and postpartum bellies, breasts, and thighs to keep skin elastic and soft. Contains: Oils of *jojoba (Simmondsia chinensis) and sweet almond (Prunus dulcis) infused with roses and *calendula; borage seed oil; vitamin E (alpha-tocopherol); essential oils of rose geranium (Pelargonium roseum), pink grapefruit (Citrus paradisi) & ylang ylang (Cananga odorata); benzoin (Styrax benzoin); rosemary oil extract (a natural preservative).